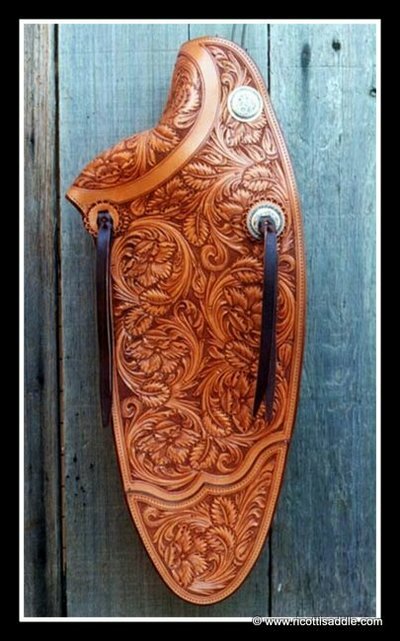 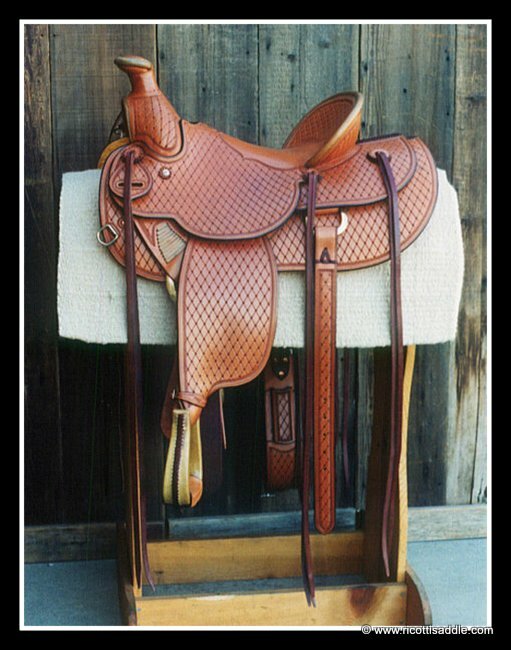 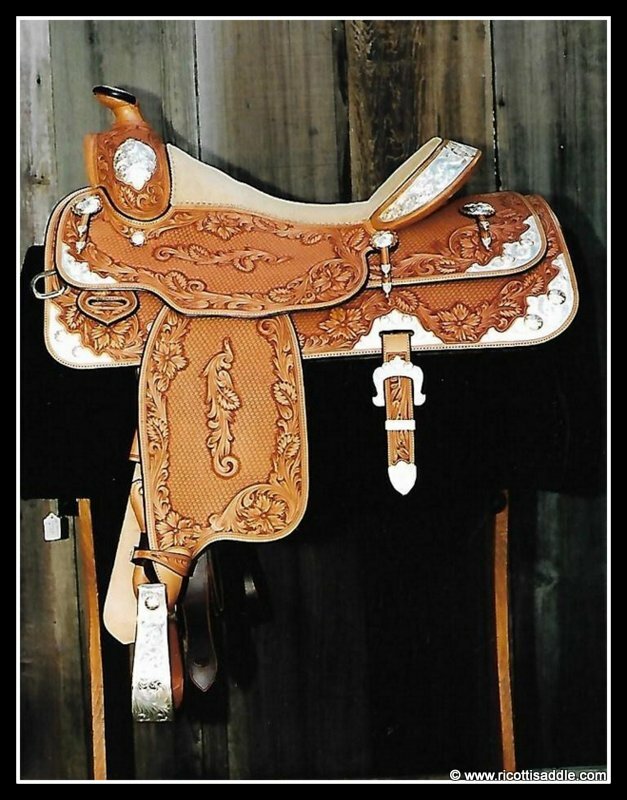 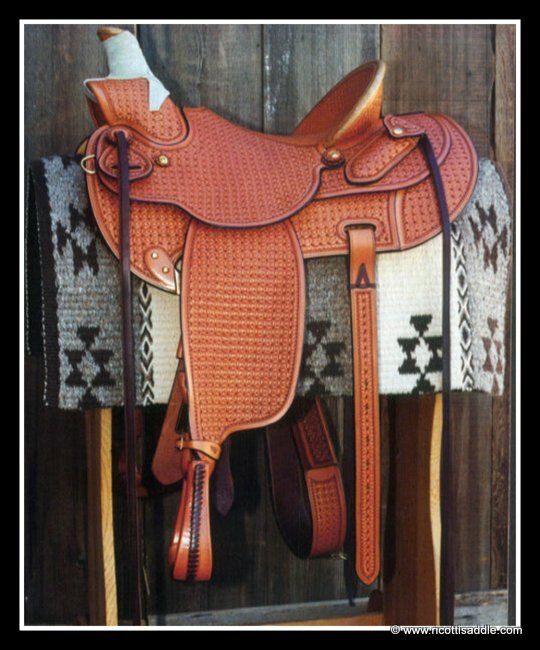 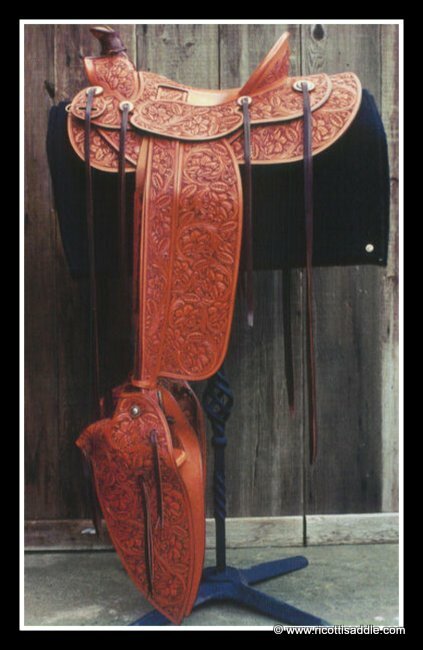 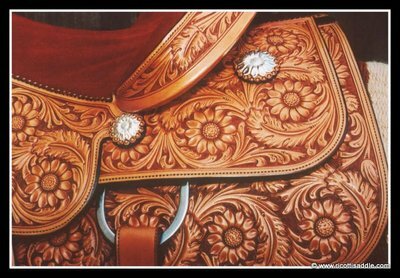 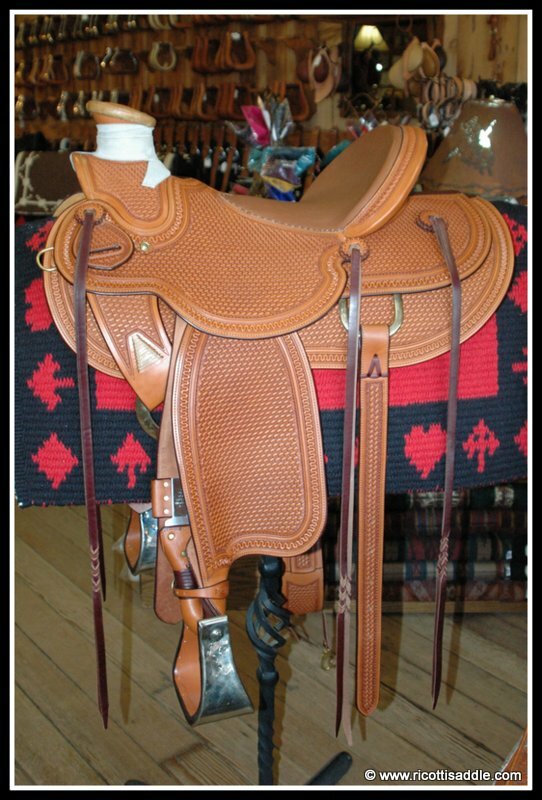 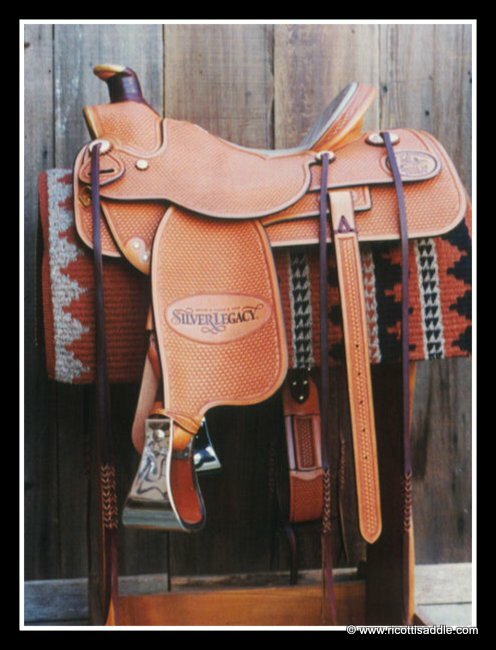 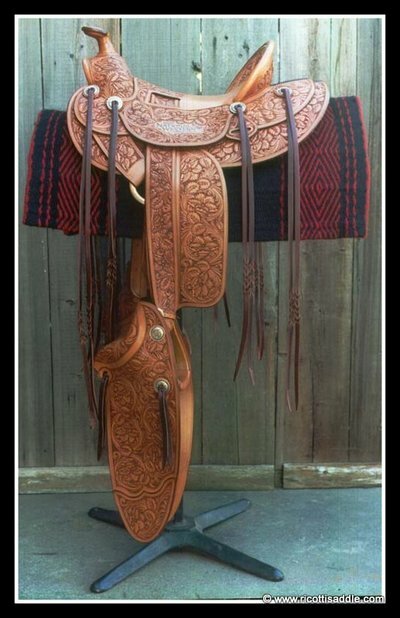 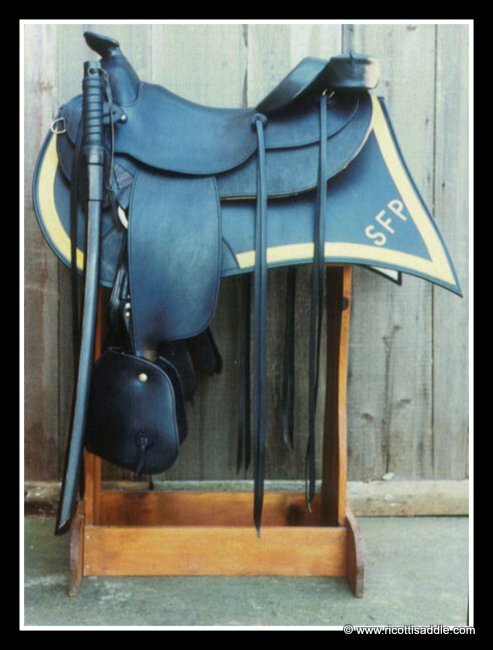 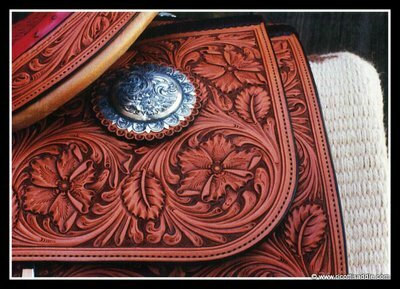 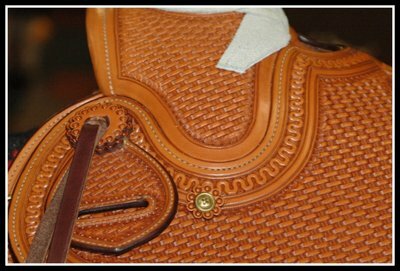 Custom Saddles - Ricotti Saddle Co.
Ricotti Custom Saddles . 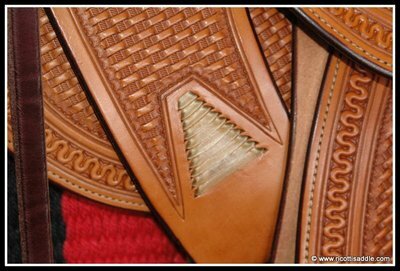 . .
You know the difference when you see it! 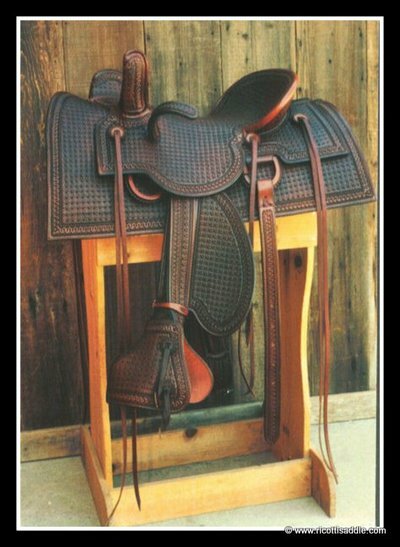 Under Rick Ricotti's direction at our workshop in Clements, California, your custom saddle starts with the right tree for you and your horse. 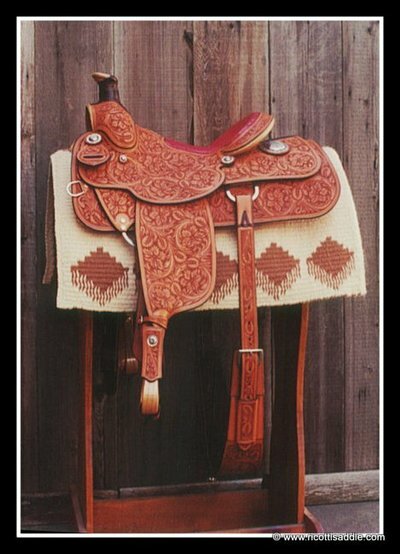 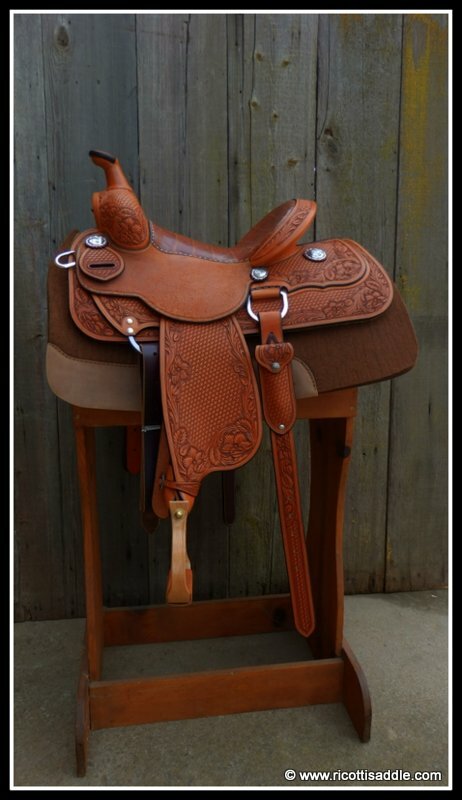 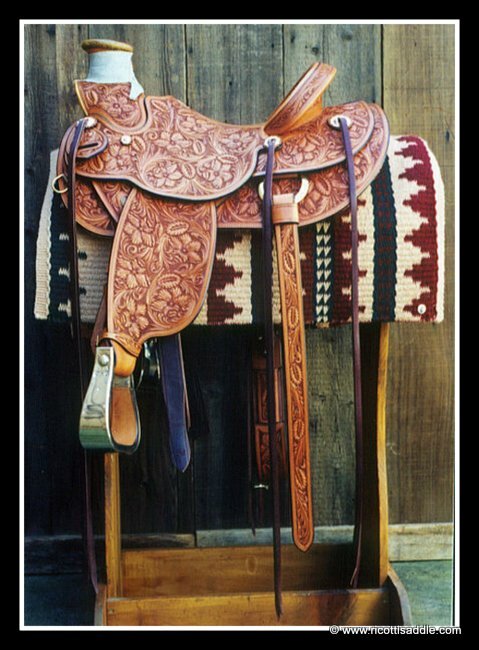 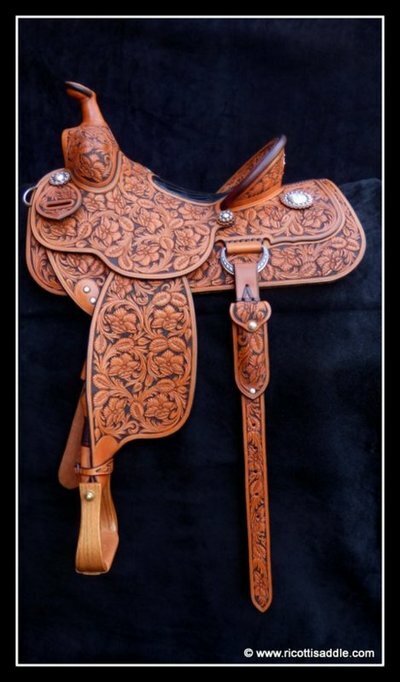 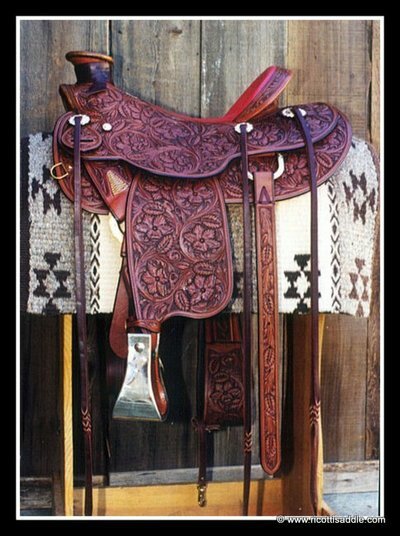 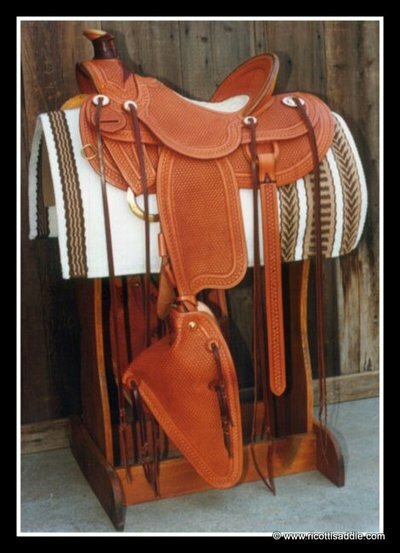 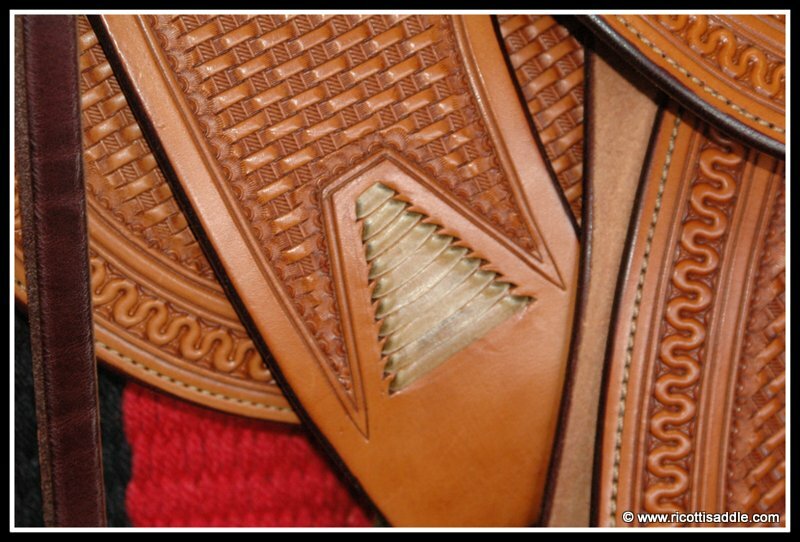 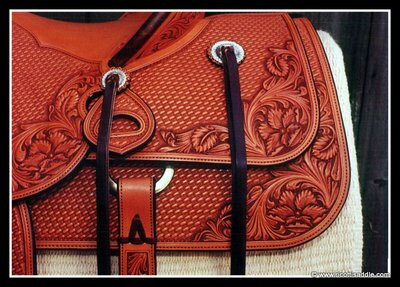 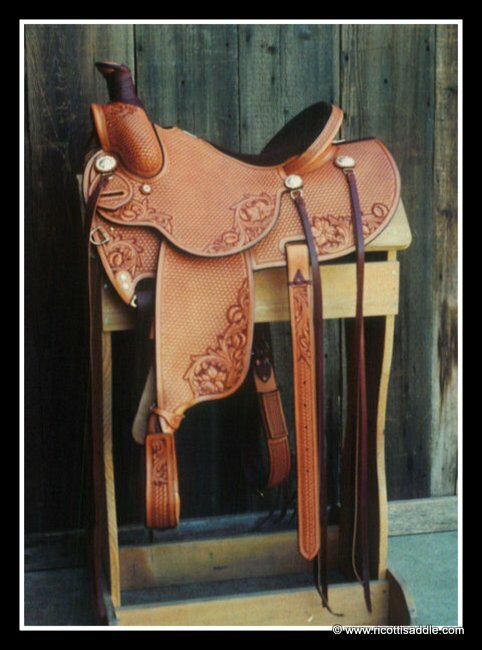 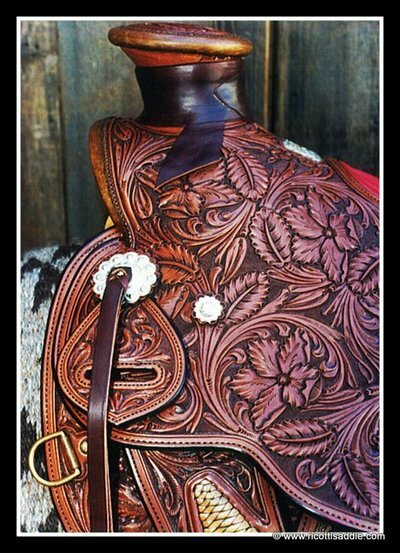 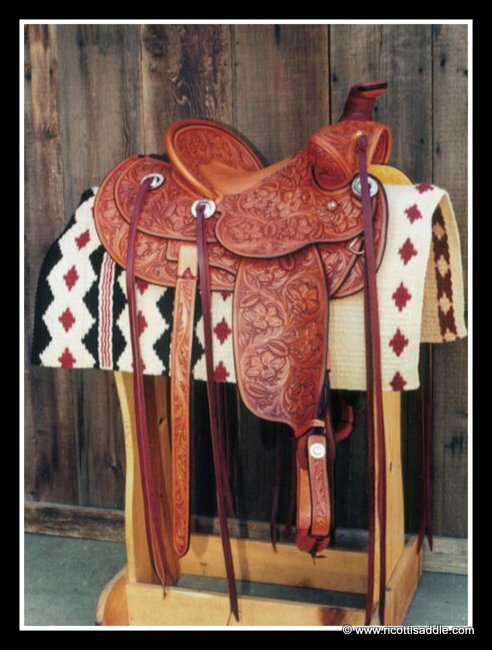 The most skilled artisans take extra time to translate your ideas and designs from raw materials into a saddle embellished with finely detailed tooling. 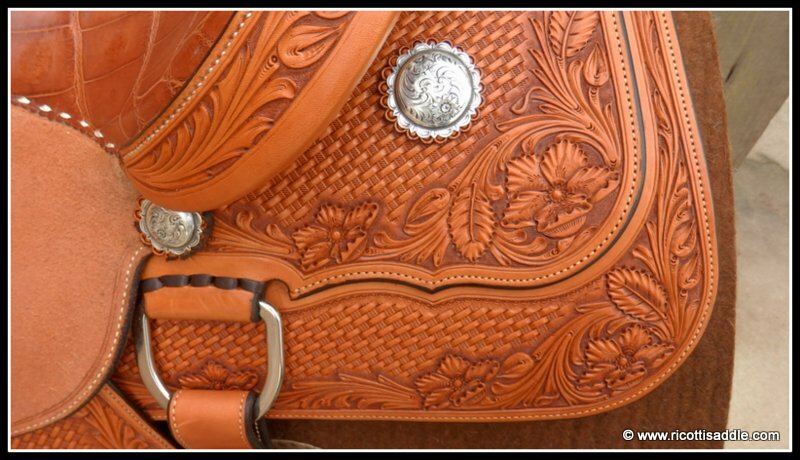 Unique or traditional silver hardware can be designed to give your saddle the one-of-a-kind polish that will set it apart from the ordinary. 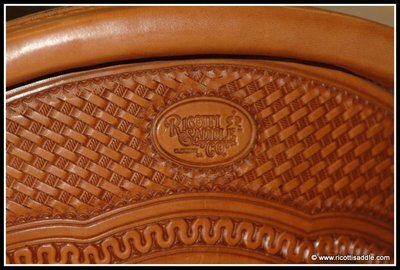 Rare craftsmanship and premium materials -- for those who know the difference. It only takes a phone call or e-mail to begin the design process. 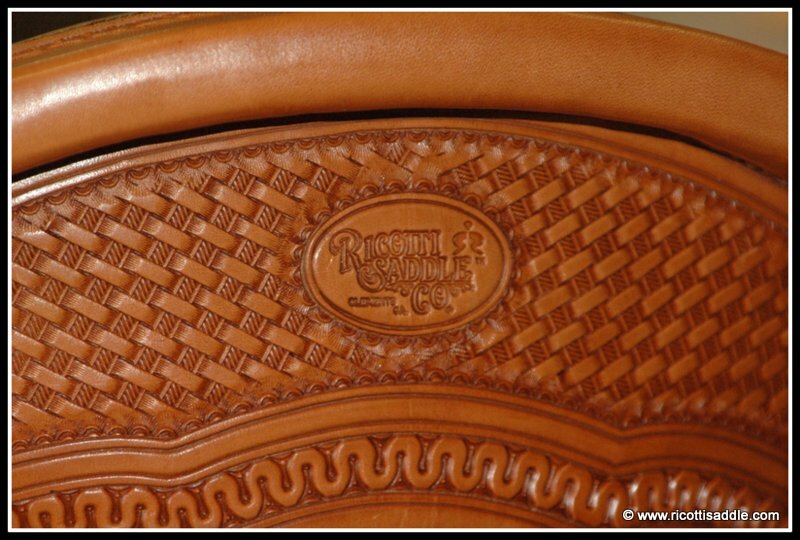 Call 1-800-RICOTTI today. 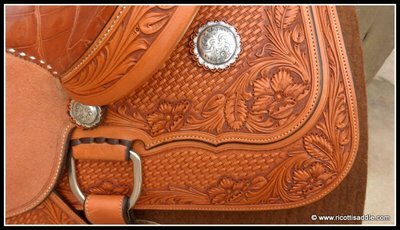 Tell Rick what you need, what you like, what you don't like... then let his years of experience and creativity guide you through the decision-making. 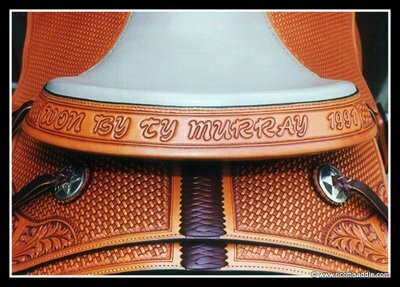 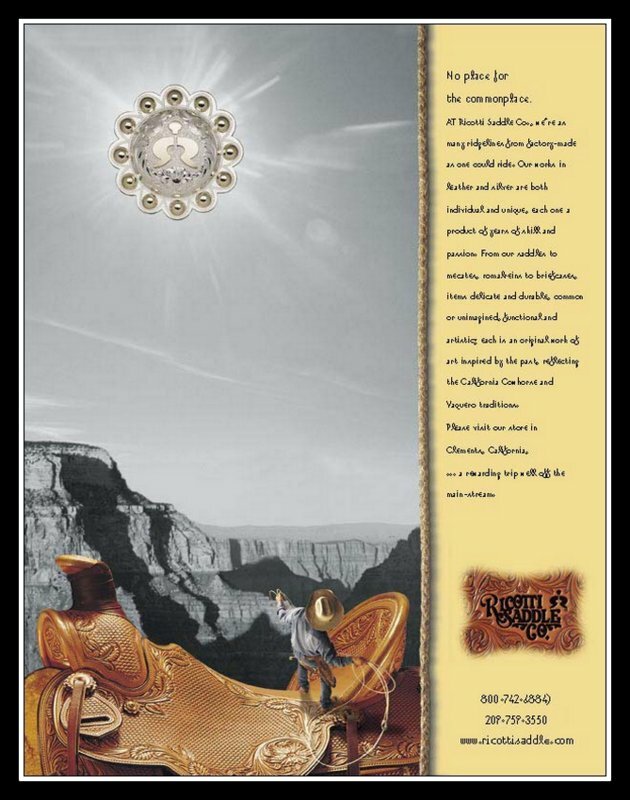 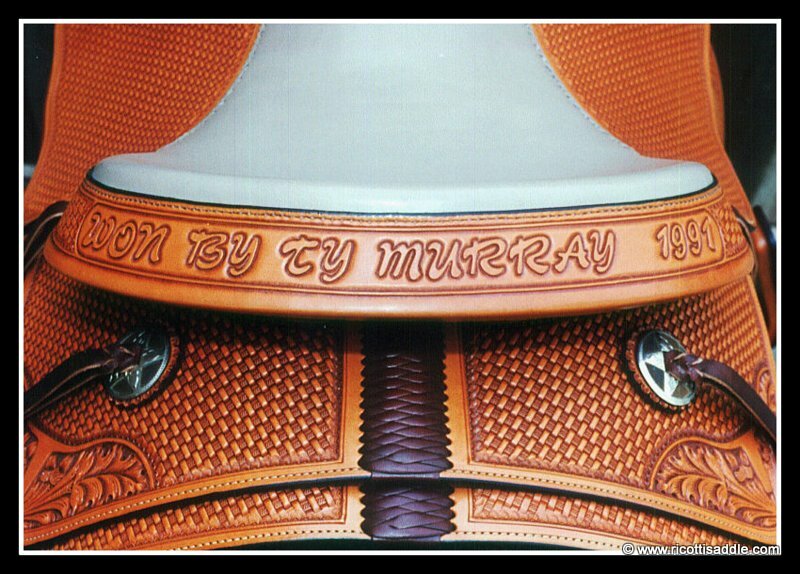 Your finished saddle will suit your horse, your riding and your desire for style and craftsmanship.